Jill Couch has a lifetime of experience in dance, stage, music and theatre arts. She won a senior scholarship to study music at Trinity College, London, and is also a practitioner of all forms of dance from classical ballet, through tap, modern, ballroom and character, all of which she has also taught. As well as running her own Dance Academy, her musical training has resulted in numerous opportunities to accompany dancers in both syllabus examination work, as well as stage performance, including 20 years as an accompanist with the Royal Academy of Dancing, 14 years with Elmhurst Ballet School. and periods with several leading stage schools. 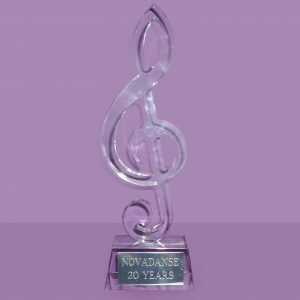 Her undoubted musical gifting, together with her understanding of the challenging art of teaching dance, come together in Novadanse to provide the dance teacher with a decade of dance music from the earliest simple melodies for tiny tots, through to the first classical performance for teenagers – and beyond. When she’s not creating music and playing just to enjoy her Yamaha Clavinova, Jill is spending time with her grandchildren, looking after her prized fishpond, and travelling the world. Her trips to Australia, Switzerland, Riesa in East Germany for World Championships, play a big role in keeping abreast of trends. She is also very involved in her local dance and theatre scene attending Festivals and Shows, and has brought local dance schools together in one venue to raise money for local charities. I find your music pure inspiration – you have an extraordinary talent. Your music could revive even the most worn out teacher! Emma Andrews – Choreographer/Teacher of Performing Arts. a super CD most useful to all dancing schools needing music for Christmas time or produce a Christmas scene in their shows (Let it Snow). Peggy Harrison – I.D.T.A. a bonus to the Novadanse collection – listen and guess is ideal for 4 yr olds, Simply Danse brings a new look and excitement to the very young pupils (Children’s Showtime). Yvonne Goût – President, Fellow Examiner & Festival Adjudicator IDTA. Your original Cadenza syllabus music is very beautiful Christo – Head Teacher Capital Stage Youth Dance Co. Capetown, SA. 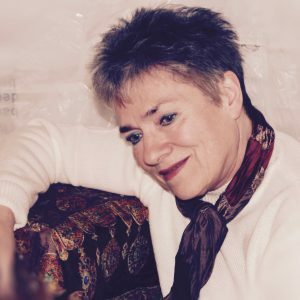 If you are looking for inspiration, look no further – the CD’s ‘The Orchid Suite’, ‘Top Tap’ ‘Phrases’ the arrangements are excellent and a must for every theatre Teacher Yvonne Goût – President, Fellow Examiner & Festival Adjudicator IDTA.